AI is the buzzword of the moment and keeps popping up in conversation at every stand here in Paris. But not everyone agrees on what it is or how it’s best used. In many cases the terms is actually applied to what’s known as machine learning, the ability for computers to ‘read’ and organise unstructured information. An example on Microsoft’s stand sees machines sorting through historic documents scanned as PDF files and allowing users to make keyword searches across the text. Think about that for a minute - the computer is reading handwritten notes from the 1950s, and typed letters from the 1970s. Clever stuff. 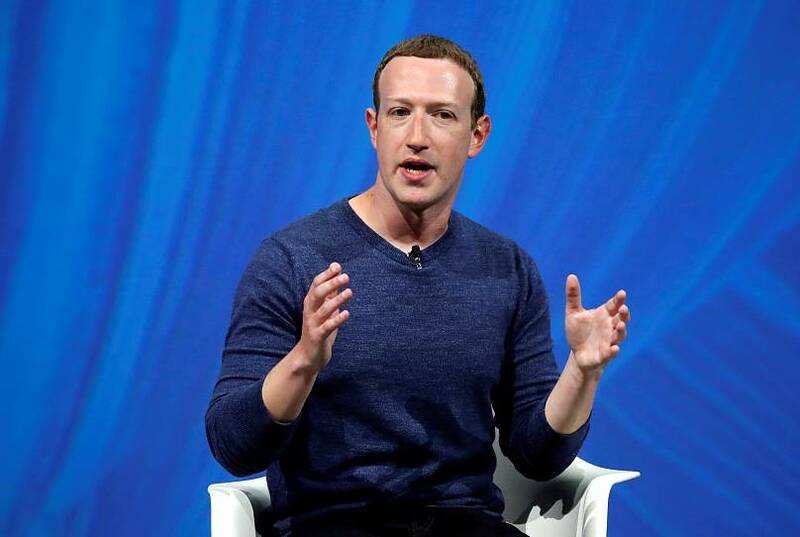 Meanwhile Facebook founder Mark Zuckerberg again stressed his firm's faith in AI to deal with the content filtering issues it faces when he passed through VivaTech for a friendly fireside chat. However two leading French computer engineers were disputing the use of the word “intelligent” in AI. We heard from Luc Julia from Samsung Electronics and Bruno Maisonnier from Anotherbrain, who argue it’s an overstatement to describe the technology now in place and soon to market as intelligent, as intelligence needs what Julia calls “a sixth sense”, something he doesn’t believe either Siri or Alexa possess. Bio tech is getting closer and closer to science fiction. The biggest rush for selfies that Euronews saw was with David Aguilar, the Andorran with a Lego arm. He was one of the stars of an afternoon of future biotech. The young engineering student, who was born without a right forearm, showed off a series of limbs he has made from Denmark’s most famous building bricks, and discussed his plans to create stronger and more powerful arms that would be far more capable than the human hand. Andorra’s real-life superhero was followed by a session on CRISPR/Cas9, a gene editing technology which could help biotechnologies cure cancer and other leading killers. CRISPR allows scientists to effectively cut and paste genes far faster and easier than has been possible until recently, leading to hopes that it can be used to overcome hereditary health issues as well as target specific cancers. Panelists admitted it could also, theoretically at least, be used to cut and paste genes from animals with genes from humans. So, half man half pig might be possible, if not half man half biscuit. 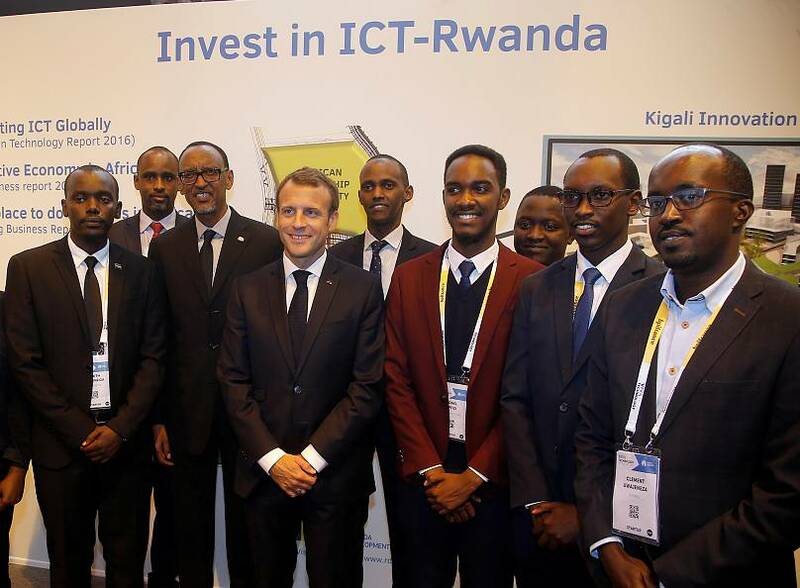 Africa is very visible at VivaTech, with a big stand from Rwanda at the entrance to the conference and the country's President Paul Kagame meeting French counterpart Emmanuel Macron ahead of the event. A morning of debates and presentations from African startup founders, Angel investors and tech gurus was a refreshing chance to hear from some of the voices across the continent. One of the key themes from the speakers is that ‘Africa is not Silicon Valley, and so much the better’ - in short, don’t compare a company from Cameroon with one from California, and don’t come from Palo Alto expecting to blow away consumers from Burkina Faso. Tech entrepreneur Rebecca Enonchong told Euronews: “I think that we have unique characteristics, that are positive ones, and we need to take advantage of those.” She stresses the knowledge of local markets and trends in individual countries and across African regions that incoming firms from the US wouldn’t have. Cédric Atangana, the young founder of universal payment system WeCashUp sounded a note of frustration at the event too. As a young African based in France he feels that investors lack trust in businessmen like him, and he has had to rely on smaller contributions from individuals to get his company going. He just signed a deal with Amazon and has Air France interested in his platform, “but people still don’t invest, it’s kind of crazy” he told Euronews. Would you be prepared to save every family photo you have on a strand of DNA? That’s the question you may be asking yourself soon with the emergence of DNA as a data storage medium. Microsoft innovator Doug Carmean presented the technology which could soon replace silicon, at least for long-term archiving. The worlflow is slow - the data is 3D printed as synthetic DNA by firms like Twist Biosciences, and it is write-only, meaning it can’t be changed once it’s done. One big advantage is stability. DNA is future-proof, and even civilisations thousands of years in the future should be able to read the data, and see what we 21st century humans considered important enough to save. The other big advantage is size. “You could basically put all the data on the internet into something as big as a shoebox,” Carmean told Euronews. The outstanding question is where to keep that shoebox. Under the stairs, or in your wardrobe, perhaps? 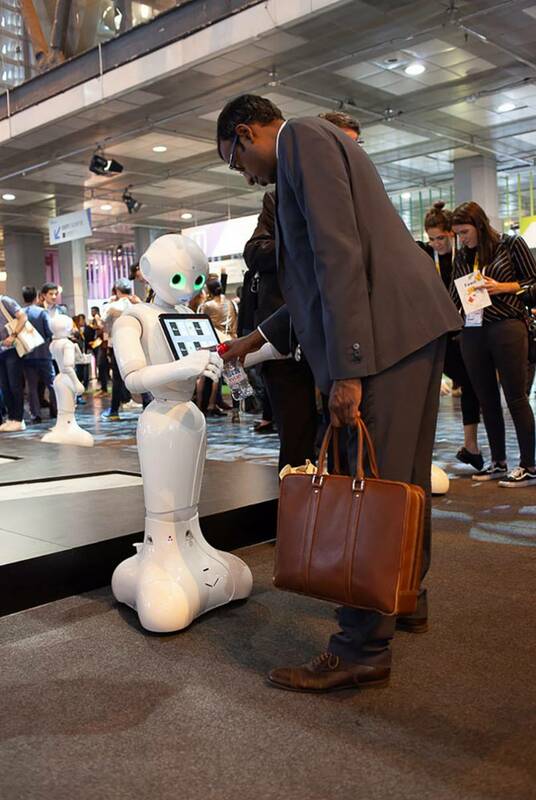 Softbank’s Pepper robot is a cute, constant presence at VivaTech. One central stand is peppered with Peppas being prepped for promotion. The child-sized robot is eager to chat, can give you a hug, and loves to dance. The applications are many, particularly in the hospitality and tourism industries, where the simple tablet interface and voice-recognition technology means it can be adapted for airports, hotels or restaurants to offer guidance and information to visitors. The startups using it report that it’s considered hugely attractive by youngsters and families, but that the older clientele tend to shy away from talking to a wide-eyed pint-sized plastic humanoid. 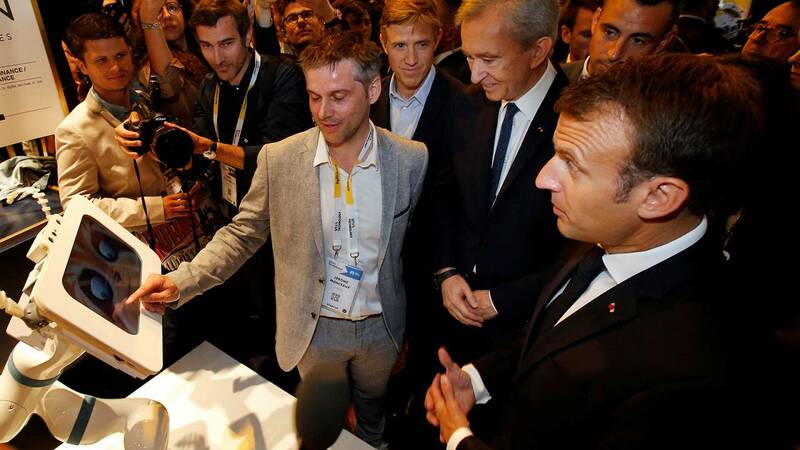 France is traditionally strong in pharmaceuticals and medical technologies, and alongside the big firms there are startups at VivaTech aiming to cure some of society’s ills. Euronews chatted with George Rawadi from LNC Therapeutics in Bordeaux, a tiny firm aiming at the big problem of obesity. He studies the microbiome, the good bacteria that work inside and with the human body to keep us healthy, and believes that if he can produce one of the key bugs in our gut he can help those who are more than overweight. The character he's interested in is called Christensenella, a recently-discovered microbe that those with a healthy body weight have in their gut. LNC is in pre-clinical phase for the moment, but expects to go through full validation in the next two years. “This will have much more value for patients, because we’ll have proven clinical efficiency, and it will be prescribed by doctors,” Rawadi says. If it all comes together then popping his pills should induce measurable weight-loss in a couple of months.